City Eye began its journey as Southampton Film and Video Co-operative in April 1986. Join us in 2016 and 2017 to celebrate 30 years dedicated to 'making and screening film and video', 'training workshops and educational events' and 'regular meetings to enable discussion and exchange ideas'. The format of these activities may have changed over 30 years but the spirit lives on. Happy Birthday City Eye! 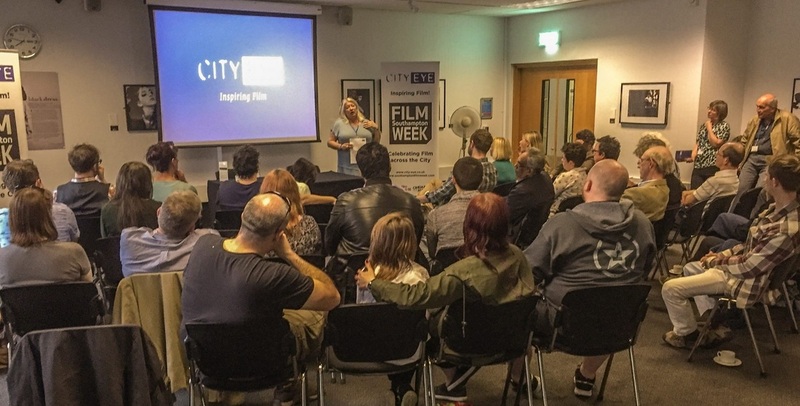 Thank You so much to everyone who attended our event in May 2015 to launch City Eye's 30th anniversary year and talk about developing our film hub at Studio 144 (Southampton's new arts complex) not to mention Southampton Film Week 2016. We started so many conversations and are excited about continuing those over the year ahead! Excited too that in our 30th year we will will work to complete our new facilities at Studio 144 in Southampton's Guildhall Square from where will offer events and activities to support filmmaking and film lovin' in the region! Much to celebrate. Thanks again to those who shared their thoughts and ideas with us. If you attended and wanted to continue a discussion with us, have thought of something new since the event or if you couldn't make it but still wish to be part of the conversation please send City Eye your comments below.